About 6 months ago I subscribed to a new magazine called HealthSmart which I quite enjoy. It is published by readers digest and I got onto their website today looking for a carrot cake recipe they mentioned in this months mag. 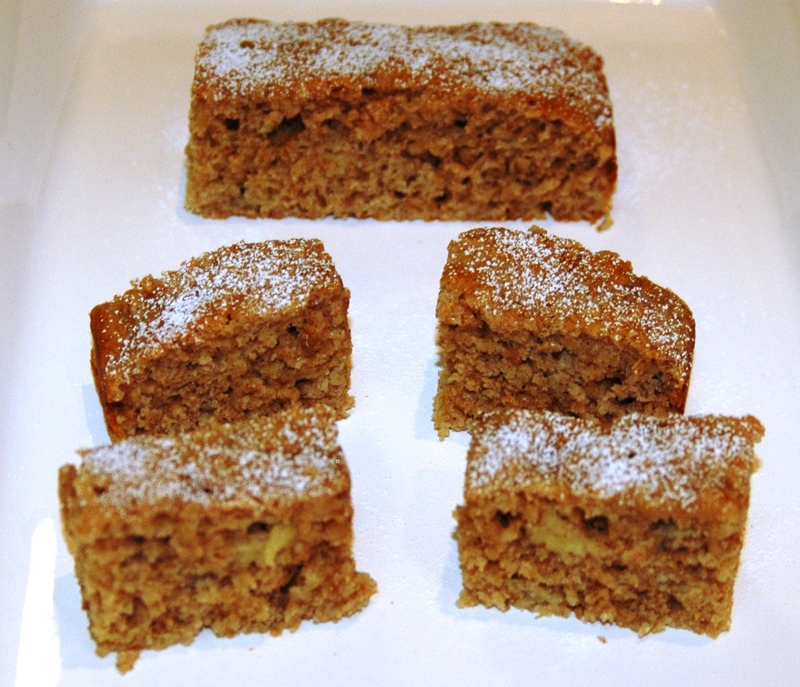 I couldn’t find the cake recipe, but found these instead which I thought looked rather good and I particularly liked that they have oats in them. So I thought I would give them a go and they are really yummy! 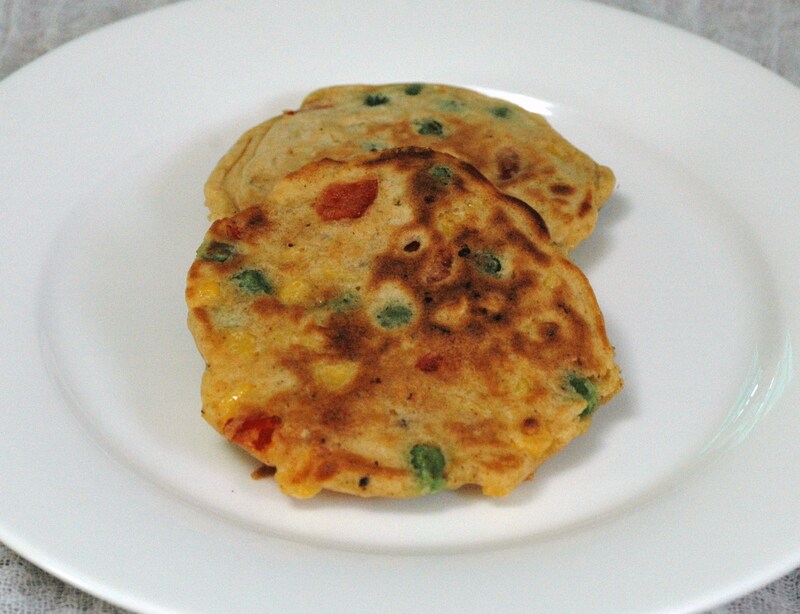 The type of curry paste you use will greatly vary the flavour of these pancakes. I used a Malaysian curry paste which isn’t very hot, but you could use a green or red Thai curry paste which would add a bit of a chilli kick, or even tandoori paste (which I think I will try next time). I would imagine that the addition of some fresh herbs, like coriander would also be good. 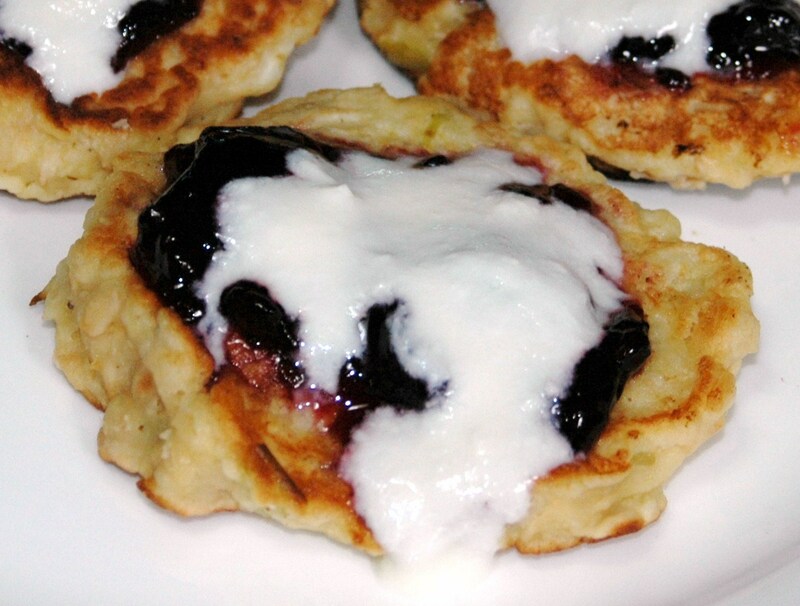 I served my pancakes (actually they look more like pikelets) with some really yummy plum & apple chutney I had made recently and it teamed really well with them. Mango chutney, tomato relish or even just natural low fat yoghurt (or natural yoghurt with a little horseradish in it) would also work well. Or you can eat them just as they are. Give them a go. 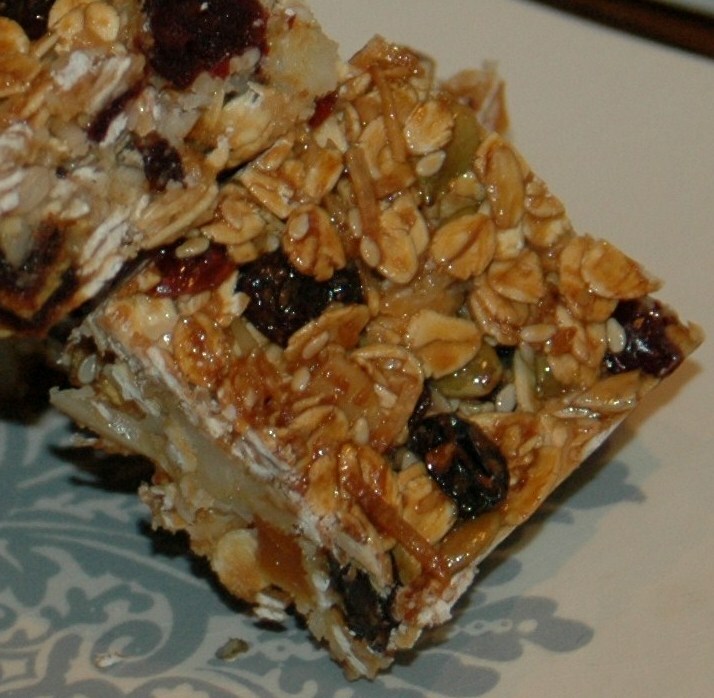 They are quick, easy, healthy and yummy. What a great after school snack for hungry kids! 1. Sift the plain and wholemeal flours and baking powder into a bowl, adding any bran left in the sieve. 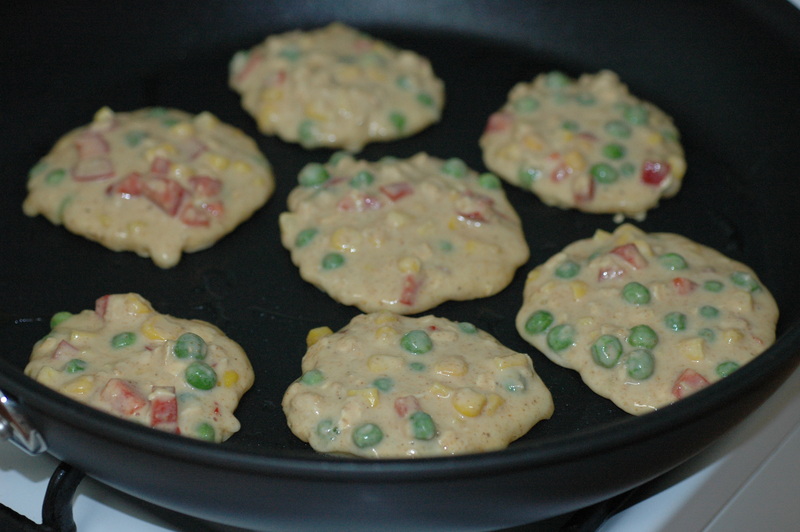 Stir in the oats, corn, capsicum and peas and salt and pepper if you like. 2. 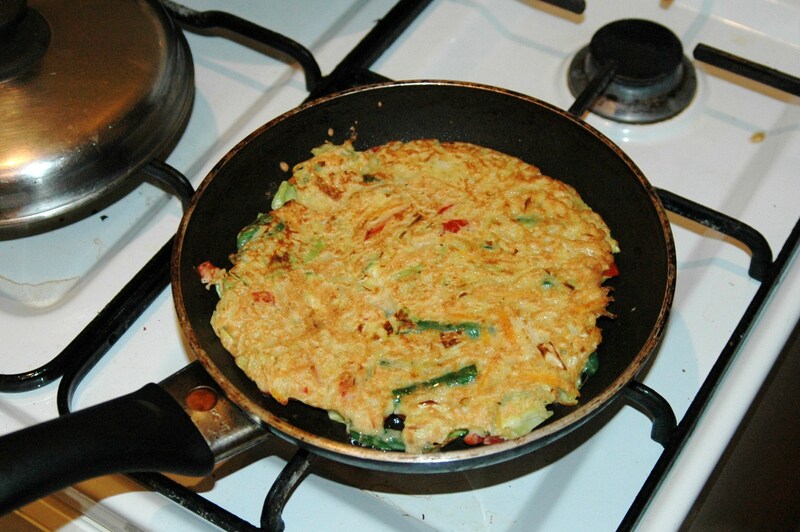 Blend the curry paste with 2 tablespoons of the milk, then stir this into the remaining milk and add the beaten eggs. 3. Make a well in the middle of the dry ingredients and add the eggs and milk. Mix until well combined. Leave the batter to stand for 5 minutes to thicken. 4. Heat a large, heavy-based (Tefal 30cm) non-stick frying pan over a medium heat, then brush with a little of the oil. Using a large spoonful of batter per pancake, cook them in batches for 2–3 minutes until golden brown. Turn the pancakes over using a spatula, then cook the other side for 2–3 minutes. Remove from the pan and keep warm in a low oven while you cook the remaining batter. Serve warm. Last Sunday the weather was so lovely that my husband and I decided to be tourists in our own city and went for a wander through The Rocks. Of course we couldn’t miss walking through the market there and worked up quite an appetite doing so. There were plenty of food venders there to choose from and we set about finding a ‘healthy’ snack option. That was when we saw these delicious looking pancakes being made. Even though we frequent Japanese restaurants, I had never seen these pancakes before. 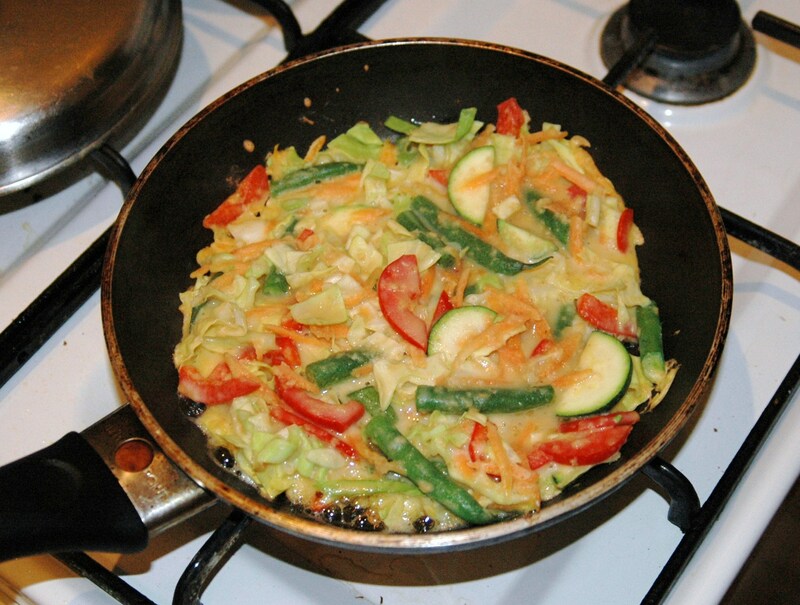 Called Okonomiyaki, there were 4 varieties to choose from – chicken, beef, seafood or vegetable. All were chock full of vegetables and you know what a fan of vegetables I am, so that was it, decision made. 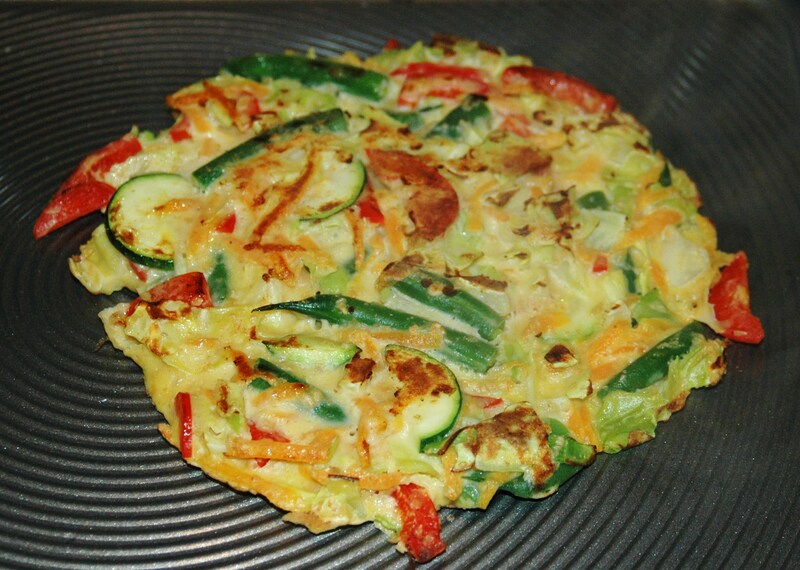 Okonomiyaki is a savoury Japanese style pancake that is made with a batter, shredded cabbage, other fresh grated/sliced vegetables & some type of meat/seafood – batters and fillings vary between the different regions of Japan. According to wikipedia, the name is derived from the word okonomi, meaning “what you like” or “what you want”, and yaki meaning “grilled” or “cooked”. Normally they are served topped with mayonnaise, a Japanese style barbecue sauce and are sprinkled with bonito flakes which appear to ‘dance’ as they move around in the heat rising from the pancake. The one we ordered contained chicken as well as a stack of vegetables and we asked for only a little of the bbq sauce on top. It was so yummy I couldn’t wait to try making them at home. So after googling for ideas, I set about assembling my own version this afternoon, copying the vegetables in last weeks version (but you could pretty much use whatever you like – whatever is in the fridge) but omitting the chicken, and they turned out great. 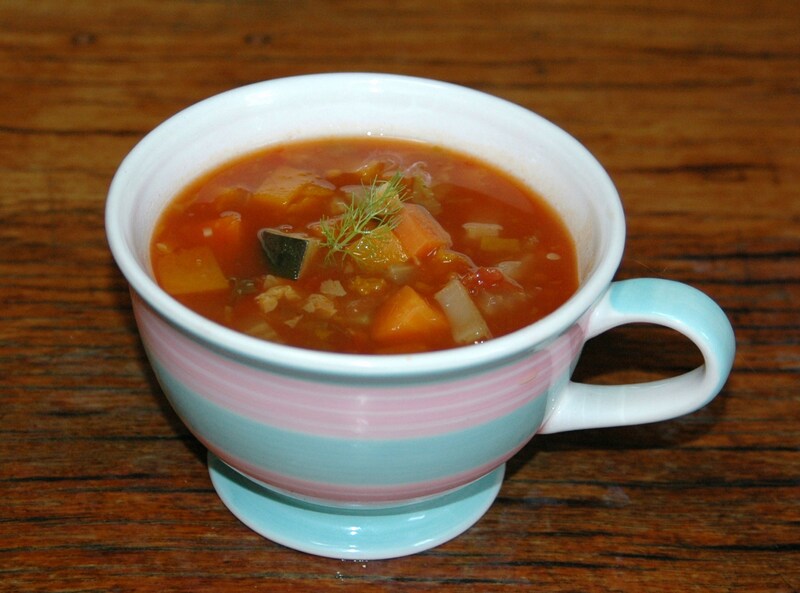 Quick, easy and oh so healthy with all of those veggies tucked inside. They were so tasty that they didn’t need any sauce or topping. They make quite a decent sized snack which fills you up, but doesn’t leave you feeling heavy. Perfect! Heat a small non-stick pan (with a matching lid – I used a saucepan lid) over low heat. Add a small amount of oil (1/2 tspn approx) and swish around to spread across base of pan. Using a large spoon, spoon about 3/4 cup of mixture into pan and flatten slightly with the back of the spoon. Place the lid on the pan and cook over low heat until golden brown about 3-4 minutes. Carefully flip pancake over and cook other side for 2-3 more minutes. 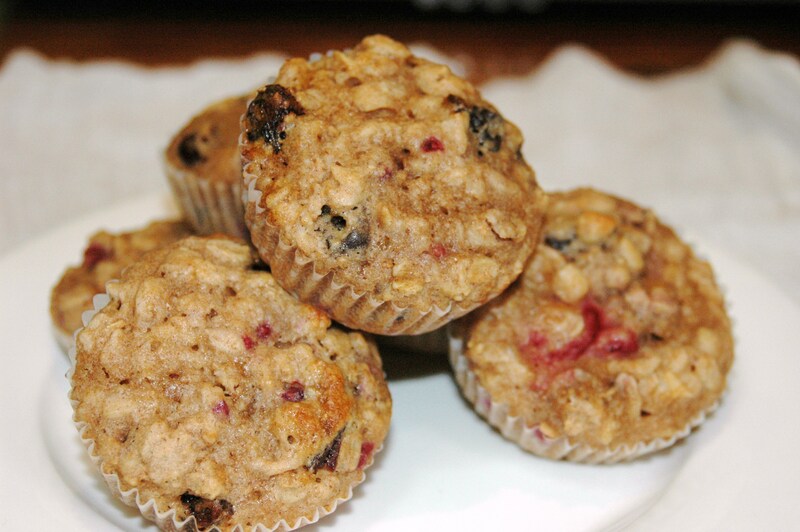 I have to admit that I prefer a muffin with some texture and substance and that is a good way to describe these. 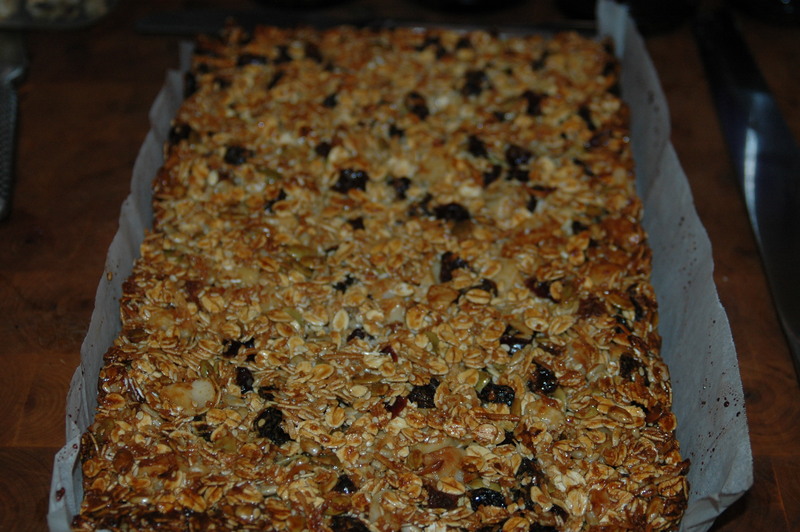 They are jam packed with oats, wholemeal flour, dried fruit and berries. 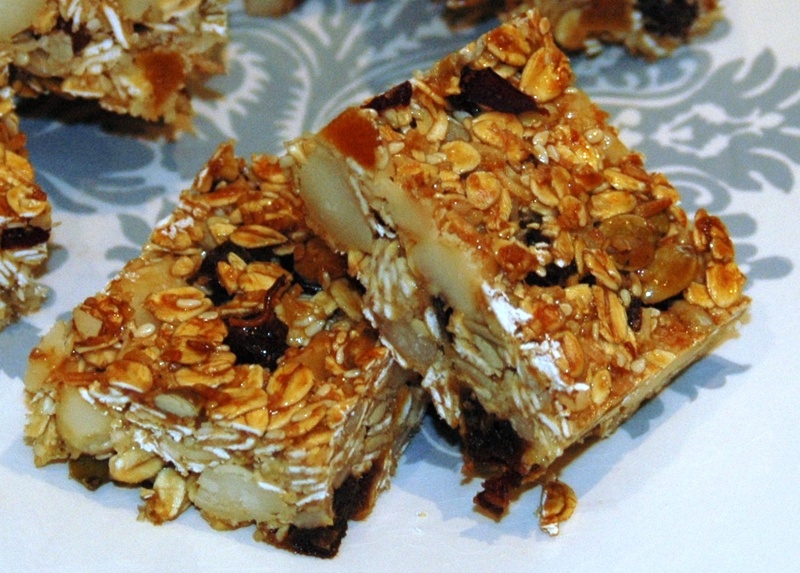 Unfortunately the list of ingredients is rather long, however that is what helps to make them so interesting and they are well worth the effort. 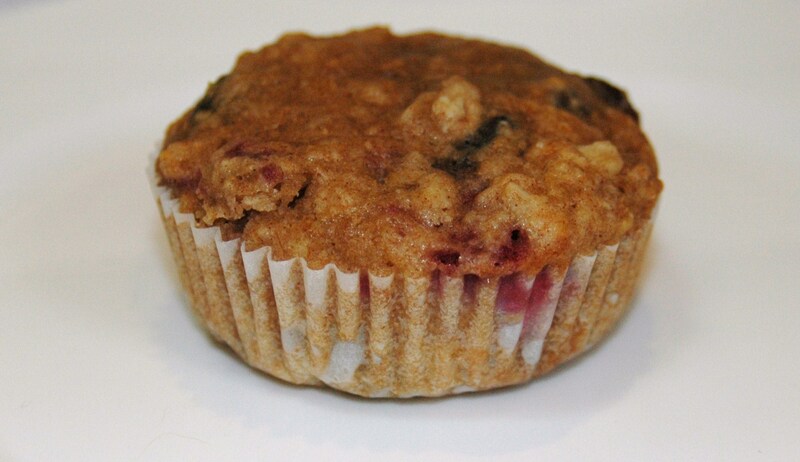 I used to buy a similar muffin to these from muffin break years ago for a snack. 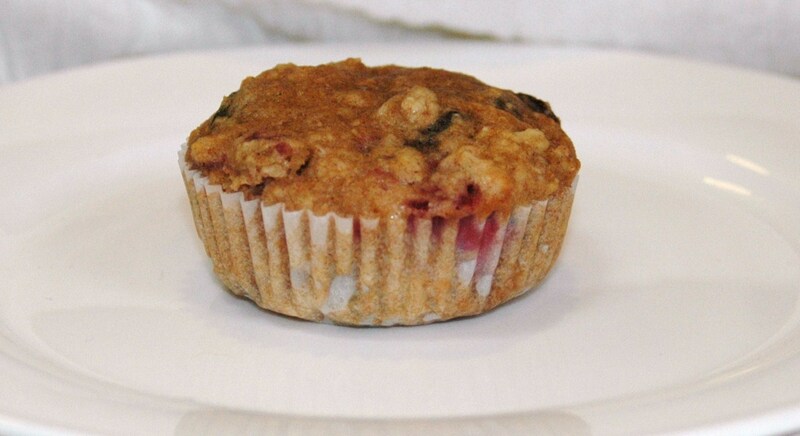 Admittedly the muffin break muffins are three times the size, however they have almost 500 calories in them. That’s almost as many calories as a Big Mac! Yikes! 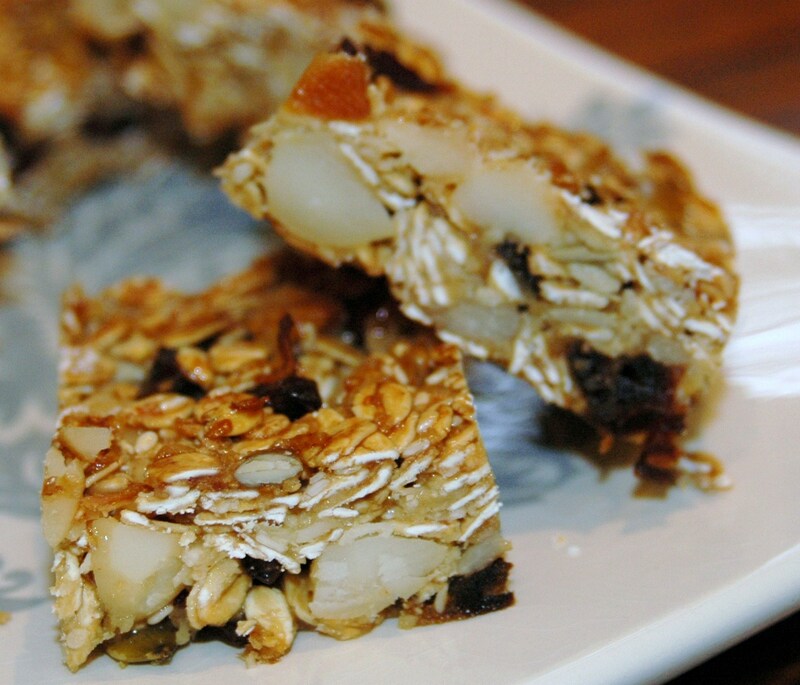 So these make a great tasty, lower fat and calorie snack alternative. Enjoy! In a large bowl, sift together the flours, bicarb soda and cinnamon. 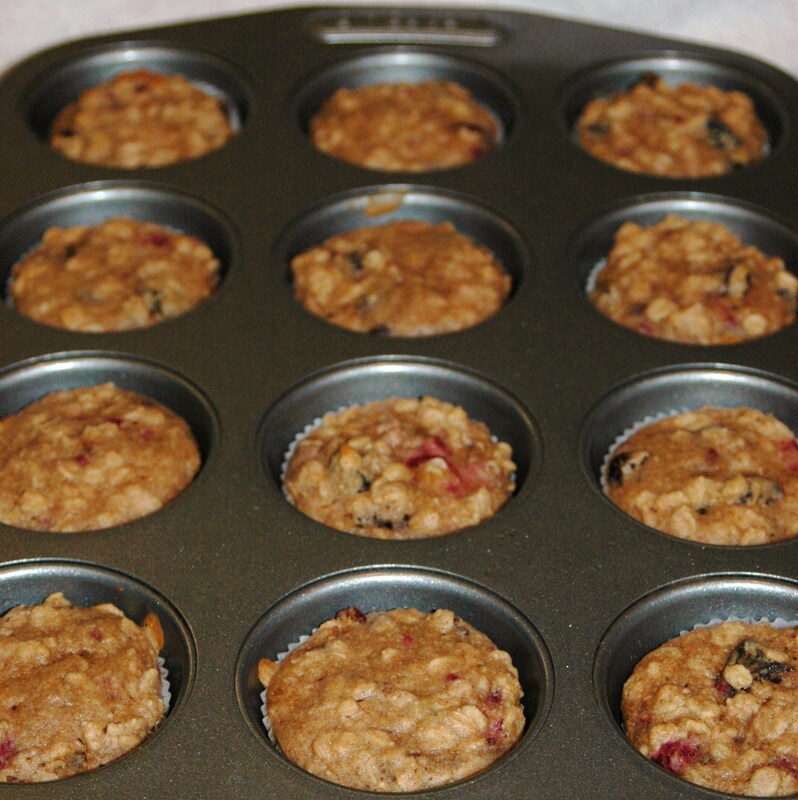 Mix in the sugars, bran, oats, dried fruit and frozen raspberries. In a medium sized bowl, whisk together the egg, oil and vanilla. Mix in the yoghurt and milk. Make a well in the centre of the flour mixture and stir in the wet ingredients with a spatula until almost combined. Stir in the boiling water until just mixed through. Do not overmix as this can make the muffins tough. Let batter stand for 15 minutes. Spoon batter into muffin papers. Bake for 12-15 minutes or until muffins spring back when touched lightly in centre. Be careful not to over-cook. 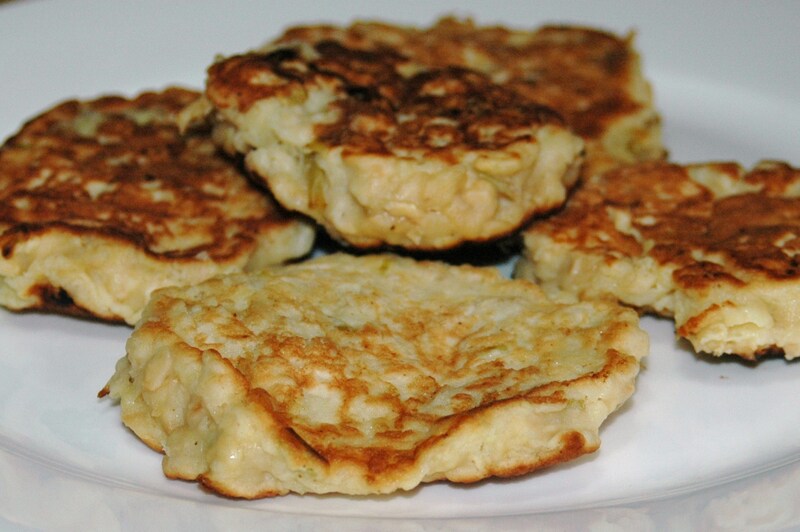 Delicious chunky, wholesome pikelets with the goodness of apple and oats – yum! I can’t believe people will buy pre-cooked pikelets or pancake shaking mixes when they are so easy (and cheap) to make from scratch. The mix was really quick and easy to make and only dirtied 2 bowls, which was great as I hate doing the washing up! I topped them with a store-bought 100% fruit blackcurrant jam and natural yoghurt but lemon butter or honey would also be good toppings. 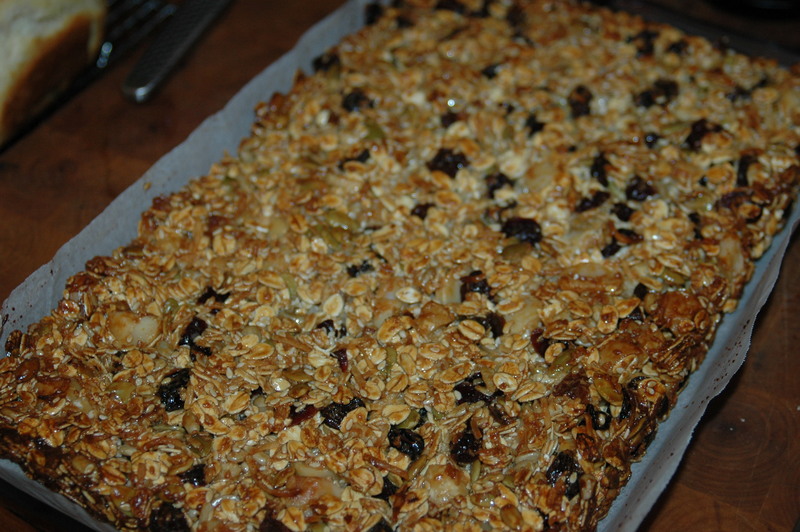 Place grated apple, flour, oats and sugar in medium sized bowl. In a smaller bowl, whisk egg and add oil, yoghurt and milk. Add wet ingredients to dry ingredients and fold through until fully combined. Heat a non-stick pan over medium heat and brush with a tiny amount of oil. 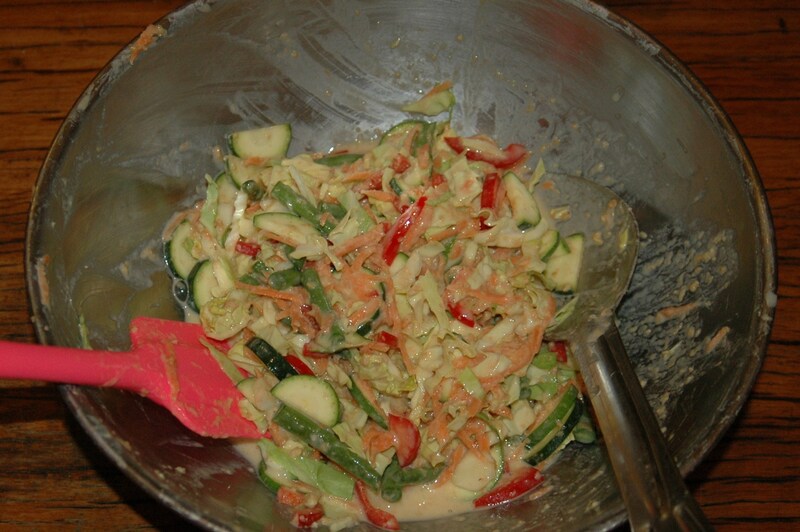 Spoon heaped tablespoons of mix into pan and cook for around 2 minutes. 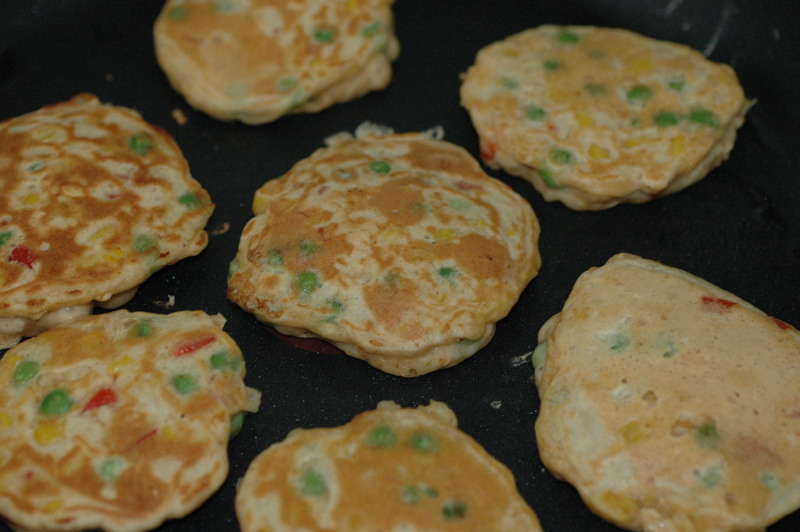 Using a spatula, turn the pikelets over and cook for approximately 2 more minutes on the other side. 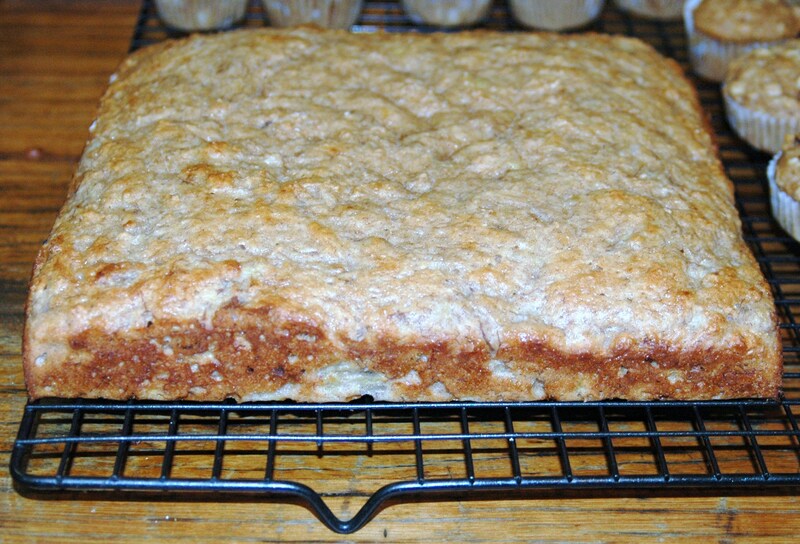 Remove from pan and keep warm on a tray placed in a warm oven while cooking the rest of the mix. 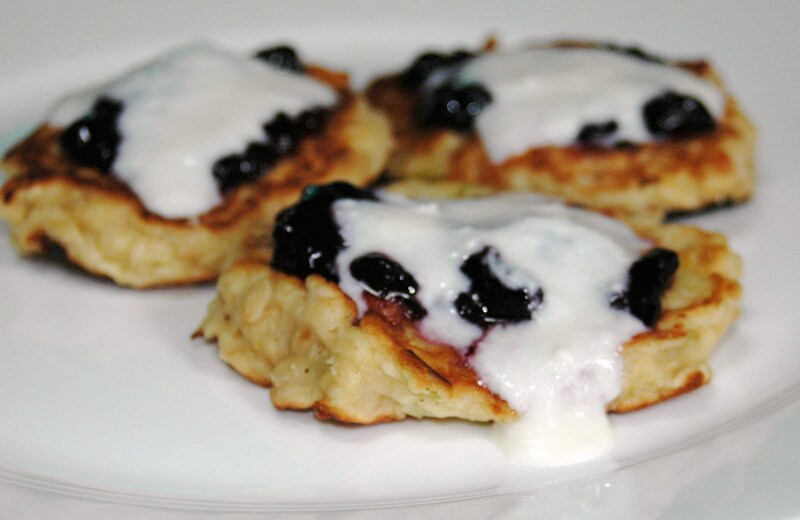 Top with either fresh berries, cooked berries or 100% fruit jam and natural yoghurt to serve. 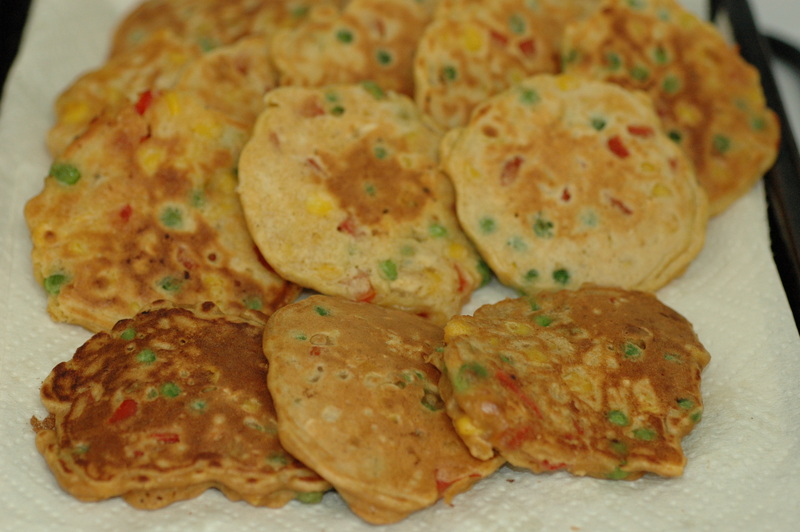 Plain pikelets can be frozen for up to 1 month. Reheat in oven or microwave or you could even try toasting them! 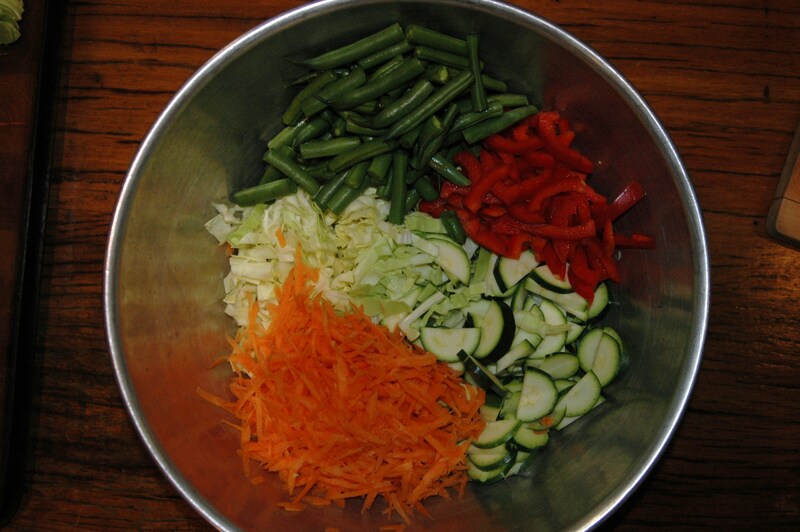 Need to increase your vegetable intake? This is a terrific way to do so. 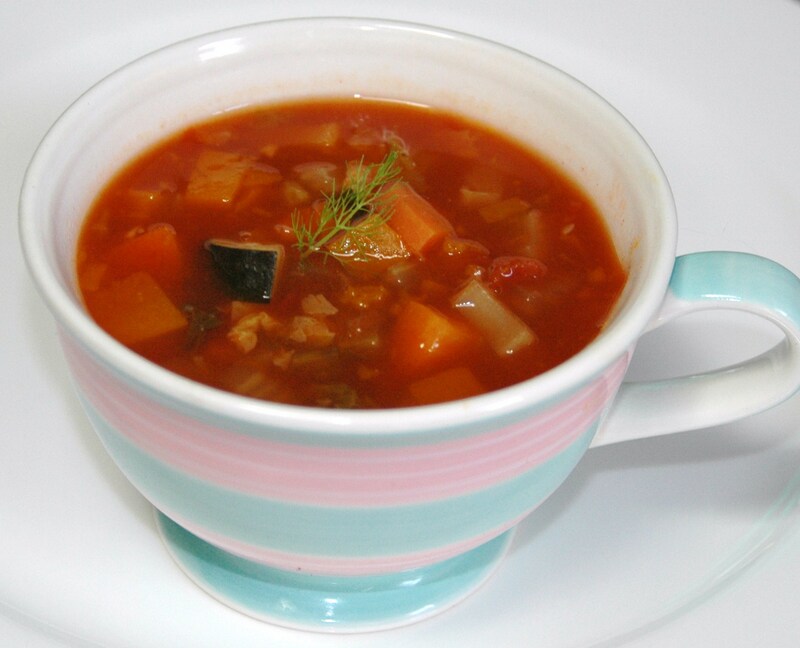 It is full of delicious, nutritious vegetables and it is very low in calories. 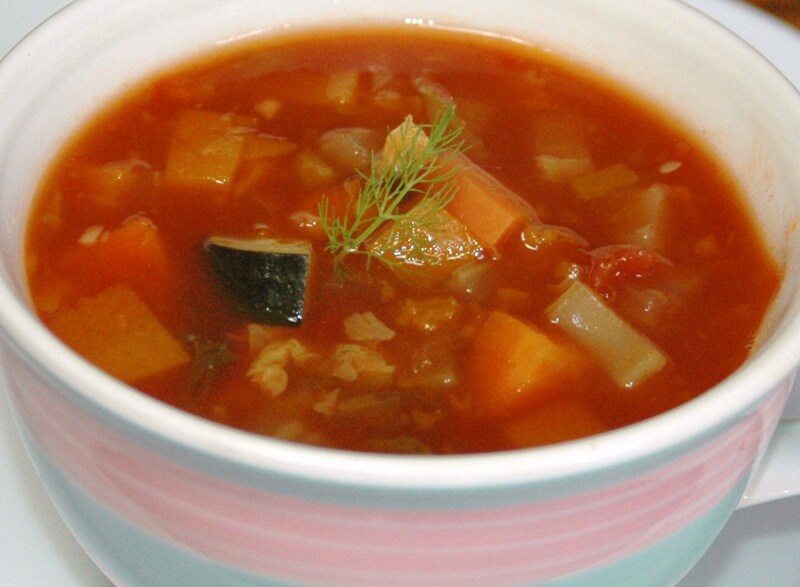 However it is also very low in carbohydrates and protein so it won’t keep you full for very long. To make a longer lasting snack, team it with slice of fresh or toasted sourdough rye or wholegrain bread (wholegrain = wholemeal base with a mixture of grains added). Both of these breads are excellent low GI choices. Or you could add a can of any type of bean (kidney, butter, cannelini) or chickpeas. 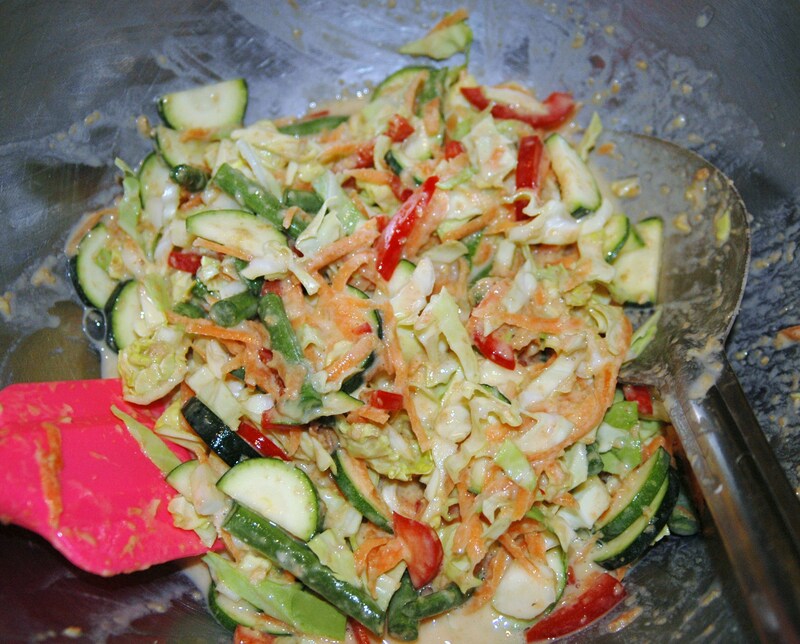 Add carrots, celery, pumpkin, zucchini and tomatoes. Bring to the boil, then simmer for 10 minutes. Add cabbage and simmer a further 5 minutes. Add pepper and herbs before serving.